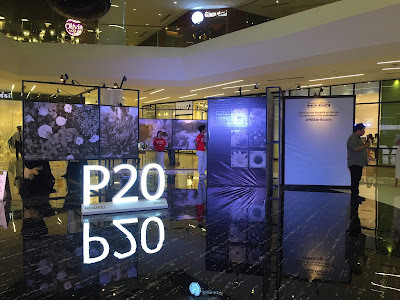 The Metro Manila Film Festival made waves this year with the fresh casting, new approach of film selection and stories that are definitely world class. 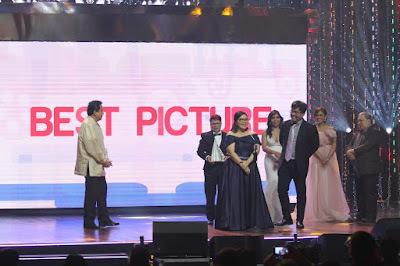 In partnership with HOOQ, Asia’s largest video-on-demand service, the MMFF furthers its commitment in uplifting the quality of Filipino movies. 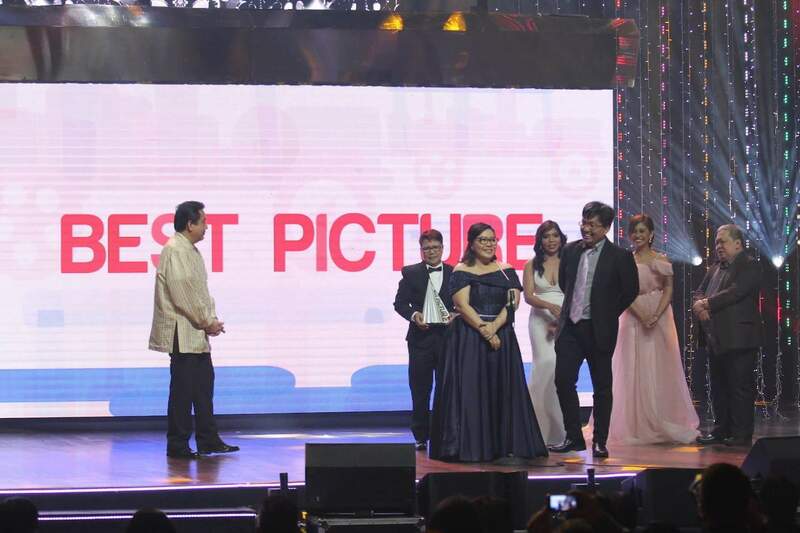 HOOQ the remained the exclusive presenter of the 42nd Metro Manila Film Festival and its New Wave category. When I was younger, I came upon a story about a man who wrote down every "Thank You's" he said to each person. And when they weighed his notebook, it turns out that it's worth more than the price of gold. This holiday season, AirAsia believes it's better to give than to receive, and with their #ThankYou Christmas Campaign, they aim to fill the air with the spirit of gratitude and the promise of continued and improved service to Filipino travellers. For a special price of Php999.00, the Boodle Fight sa Bilao Set is indeed very affordable compared to other restaurants having the same idea. 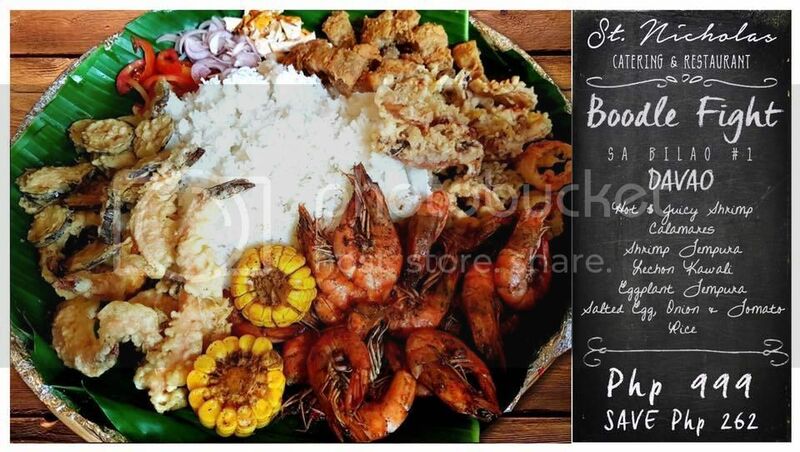 Restaurant diners have the option to choose from the different selection of other Boodle Fight variants that the restaurant offers like from Palawan, Boracay, to Batangas for the same price of Php999.00. The restaurant's Hot and Juicy Shrimps are available in the following flavors/variants: regular, spicy, mild, sweet, and medium. The shrimps were sourced from Roxas City, known as the seafood capital of the Philippines, so it is guaranteed fresh! Wednesdays are special days for shrimp lovers and regular customers at St. Nicholas Catering and Restaurant for it is called "Shrimp Wednesday" A Good Deal you shouldn’t miss. Regular customers of St. Nicholas have been returning every week for the 50% off promo. YES 50% OFF! From the regular price of Php399.00, marking down to only Php199.00 with the very same quality of Hot and Juicy Shrimps is basically a promo offer you cannot resist! He owns, manages and still cooks for St. Nicholas Catering and the restaurant. When St. Nicholas Catering started back in 2003 , the Restaurant is his newest baby. In that time, they are serving sumptuous Filipino dishes in Mandaluyong in its third year. And even though fast-food chains were up and running everywhere, St. Nicholas presents its own charm. They make sure that they only provide an intimate ambiance of the restaurant, where diners can visit during the odd hours of the day like brunch or late afternoon for early lunch or merienda, respectively. The busiest hours, of course, are lunch and dinner times. The usual guests are those who prefer clean and delicious home-cooked food over random finds at eateries. *plus Chef Nick is charming too. For quite some time, I have been trying to collect cards from Starbucks, even the ones that are out of the country. During my Korea trip last year, I've noticed that their selections were different from ours, so I made sure to buy each design (and have coffee everyday because it is so cold there). 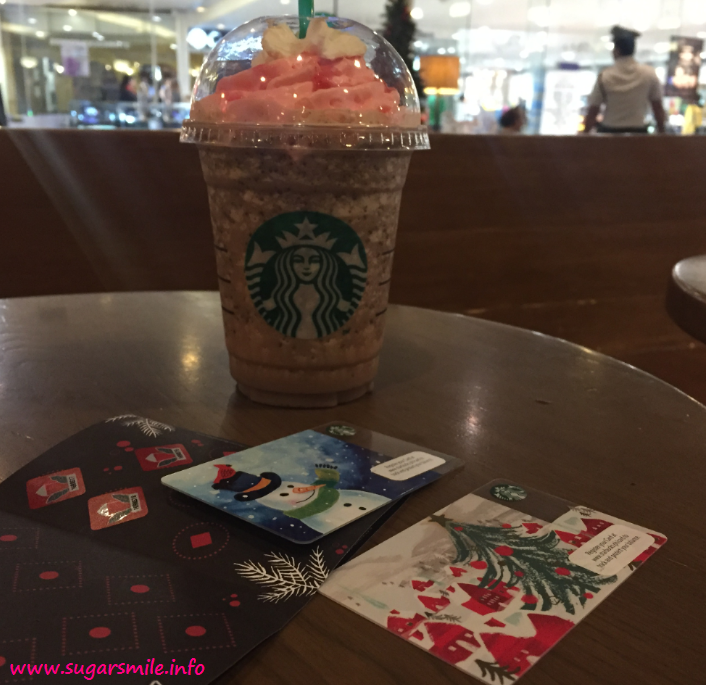 This year, I am very happy that Starbucks decided to launch different cards that are beautiful and Christmas-y. 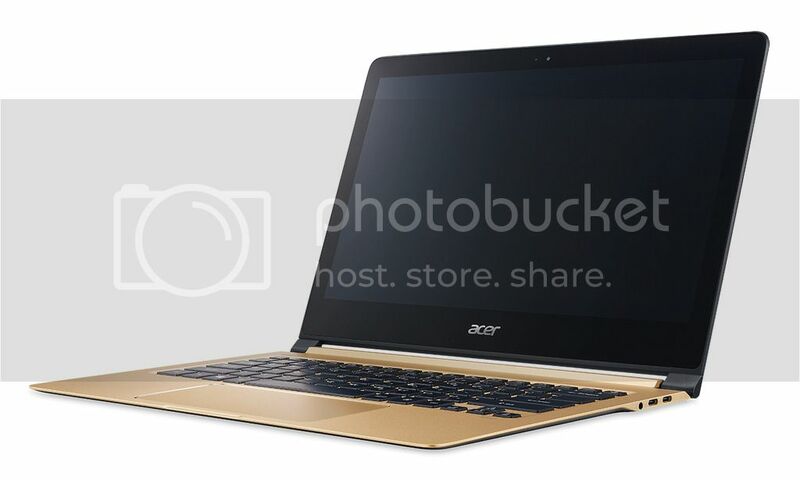 The 7th generation Intel® Core™ i5-7Y54 processor is the main chipset of the Acer Aspire S7 with an Intel® HD Graphics 615 on a 13.3" display with IPS technology, Full HD 1920 x 1080, high-brightness Acer CineCrystal™ LED-backlit TFT LCD that can give flawless graphics and provide better resolution for screen viewing. An HD webcam with 1280 x 720 resolution, 720p HD audio/video recording and High dynamic range imaging (HDR) is built in to make video conferencing for professionals easier, faster and more reliable for business. 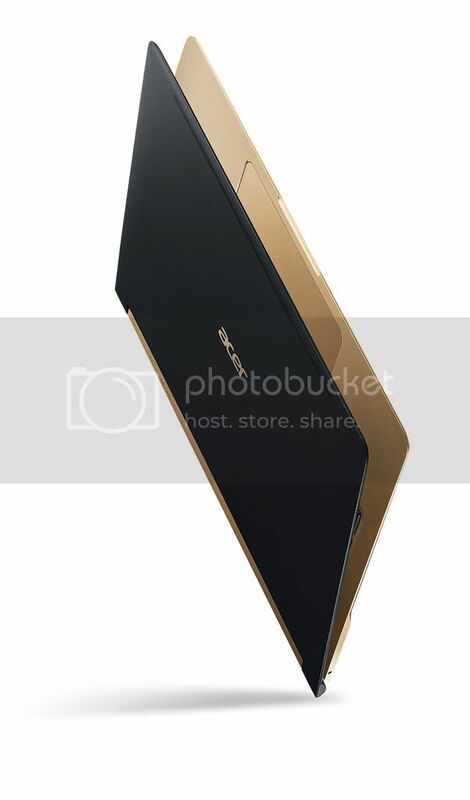 Most importantly, ultra-fast wireless technology is featured. An 802.11ac wireless LAN with a 2x2 MU-MIMO technology can provide seamless connection on the web and with a Bluetooth® 4.0, wireless connectivity to accessories will be hassle-free. The USB Type-C port, supports DisplayPort™ over USB-C™ and DC-in is a revolution for a unified electric connectivity and USB technology. 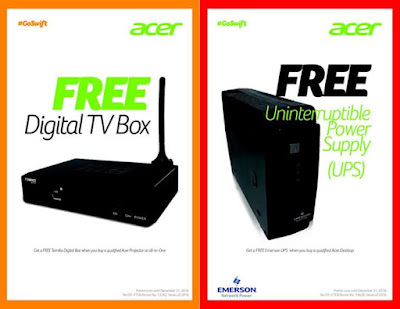 For more about the latest Acer Swift units and other Acer Philippines’ products, go to www.acer.com.ph, follow Acer via Twitter (twitter.com/acerphils) or www.Facebook.com/AcerPH. This Christmas, the Force is strong with 7-Eleven. Good news to all Star Wars fans because 7-Eleven embraced the Star Wars fever in full swing in the stores. In anticipation of Rogue One: A Star Wars Story, 7-Eleven is giving its' customers the opportunity to get awesome limited edition Rogue One collectibles. 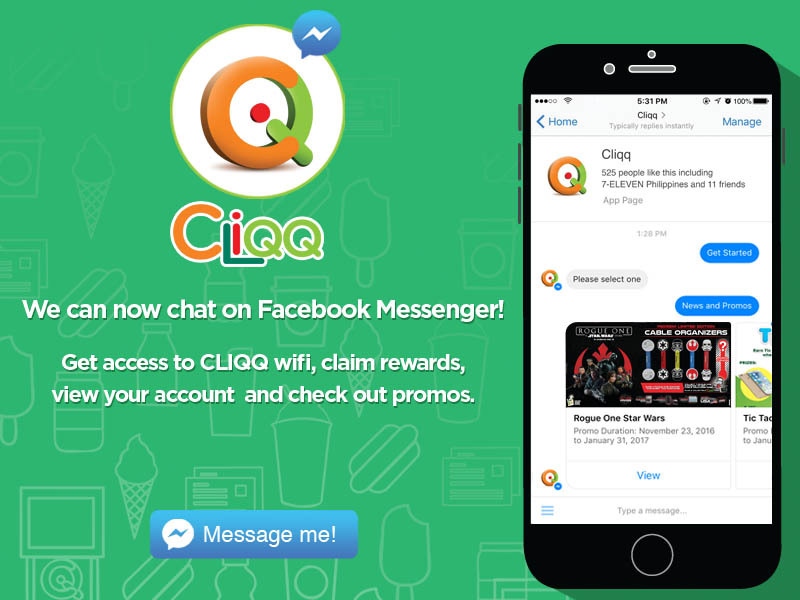 Their major promo features collectible Rogue One cable organizers that customers can redeem when they buy at 7-Eleven and use their CliQQ app or Every Day! Rewards card. 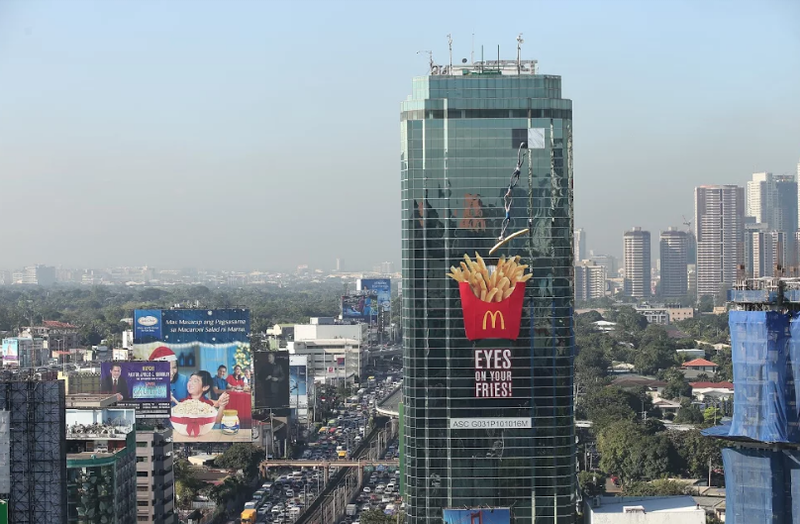 McDonald’s offers a visual treat to commuters with a larger-than-life installation of its iconic product, the World Famous Fries. If you have passed by along EDSA Mandaluyong Southbound (side of Guadalupe Bridge) or checked social media lately, chances are you’ve seen the new installation on the standout ESL Tower. 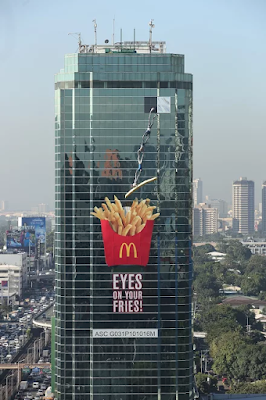 McDonald’s invites commuters and pedestrians to keep your “Eyes On Your Fries!” with an unbelievably exciting 3D billboard featuring four lifelike mannequins forming a human chain, hanging from an open window and reaching out to grab a fry! The amusing, creative installation is McDonald’s latest celebration of The World Famous Fries, made with premium potatoes that are perfectly golden and crispy on the outside and fluffy on the inside. The iconic product on the McDonald’s menu, with its signature Red Fry Box and distinctly mouthwatering aroma, is beloved locally and all over the globe—it’s no surprise that customers are willing to go beyond the usual means to get a taste of it wherever and whenever. See it for yourself and give in to your World Famous Fries craving! Head to the McDonald’s nearest you or have it delivered (via 8-6236, mcdelivery.com.ph, or McDo PH app) and enjoy a generous serving of McDonald’s World Famous Fries. 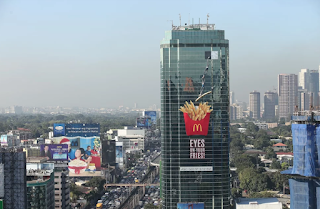 Show how much you love the World Famous Fries by posting your photos on Facebook, facebook.com/McDo.ph or tagging @McDo_PH on Twitter or Instagram. 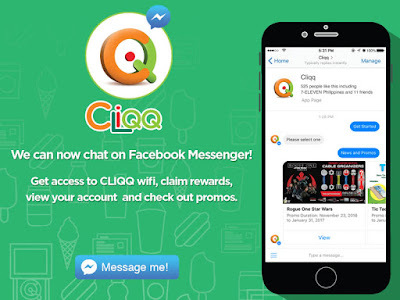 True to form, 7-Eleven, the Philippines’ leading convenience store chain, is taking convenience to the next level by bringing its CLiQQ rewards program to its customers on Facebook Messenger. It’s a refreshing change, especially when most retailers offer physical cards or apps that take up precious space on the phone. 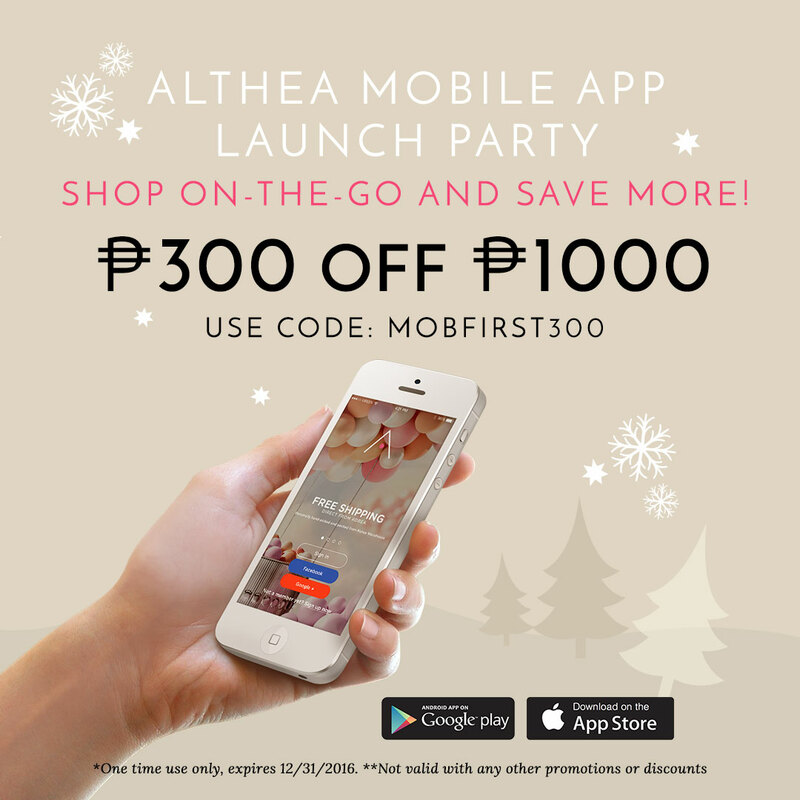 Earning rewards has never been this interactive and rewarding! There was a time in my life where I wanted too much cheese for snacks. I don't know about you, but the cheesy goodness of the classic Red Ribbon ensaimadas are the best! That is why it has been a favorite mainstay treat for the young and the young-at-heart. There’s nothing like rewarding yourself for having a stellar 2016. This season, why not head to Quezon City’s lifestyle and entertainment hub for some much-deserved pampering with your loved ones? 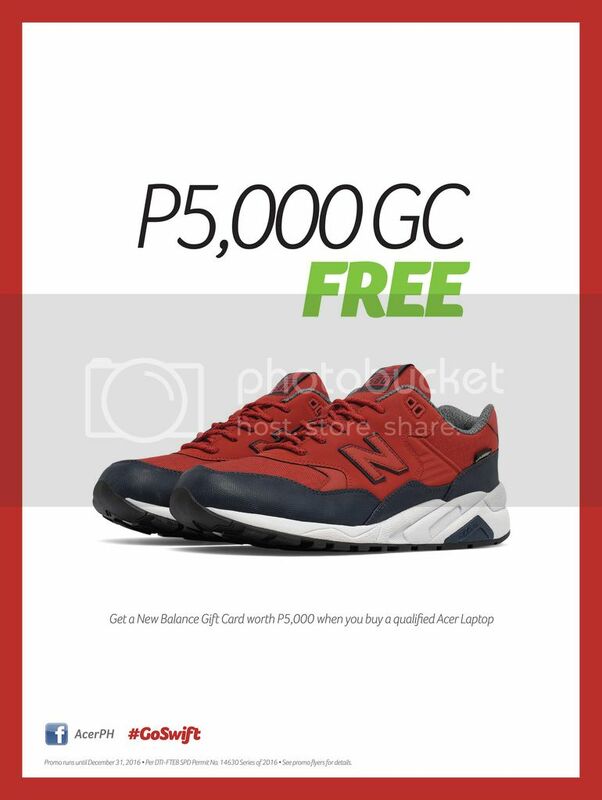 Now that’s possible with Novotel Manila Araneta Center’s Stay N Shop promotion. 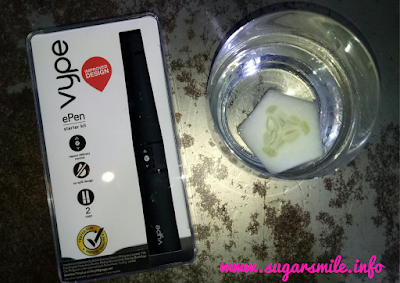 Good news to all my friends who wants to smoke and have a better alternative, Vype ePen, a vapour device with easy-to-change e-liquid caps and two power settings, debuts in the Asia Pacific region via PHL launch. This is a good thing since many Filipinos are smokers.